Capture a treasured memory of your furry friend! 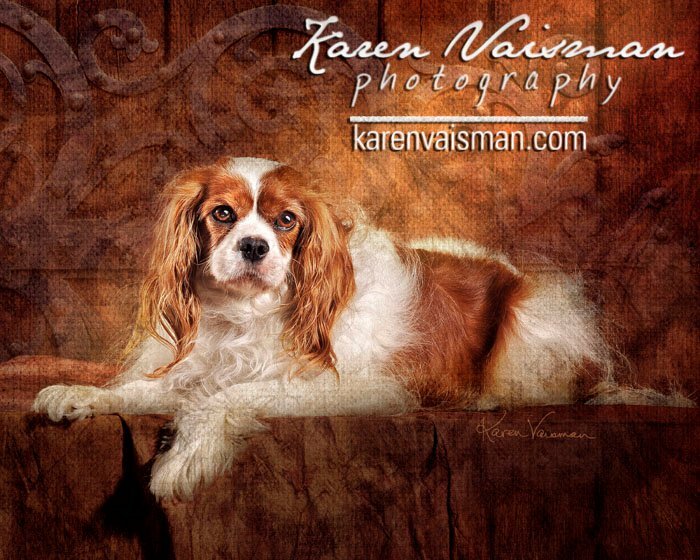 Being a pet lover my whole life has left a special place in my heart to do my best to capture the love in your pet's eyes in a beautiful pet portrait. 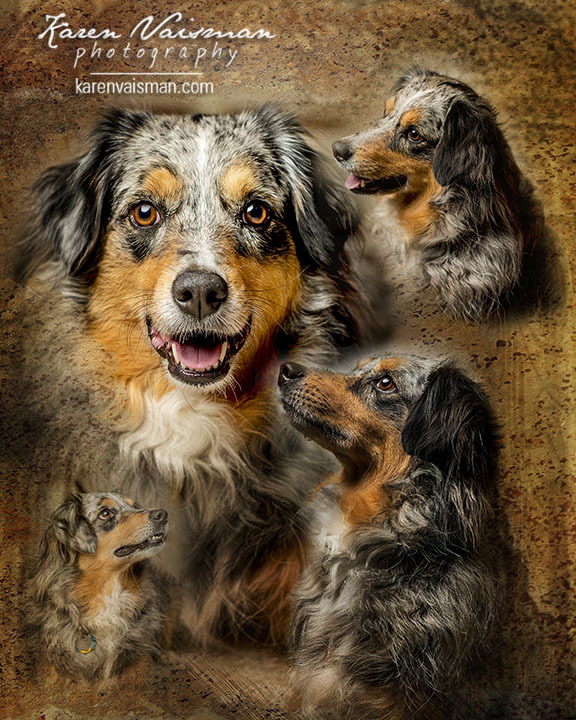 Not only do I love to photograph dogs, cats, and horses, but I also love to create artwork and creative montages of them. I have had so many calls before yours...people want to remember those special moments with their loyal friends. I get it! I want to do that for you. Your special buddy has quirks, habits, expressions. He looks at you in that certain way when he just wants love (or maybe that treat you promised)! It happens in a split second and it is really hard to capture with your mobile phone. You have to be fast with a pet to catch that fleeting glance. Oh yes, and the light has to be just right too! I relish the challenge of capturing that "look" you want to memorialize and turn it into your own personal work of art. My portrait studio is a residential studio. You and your pet will feel right at home in this comfortable setting. 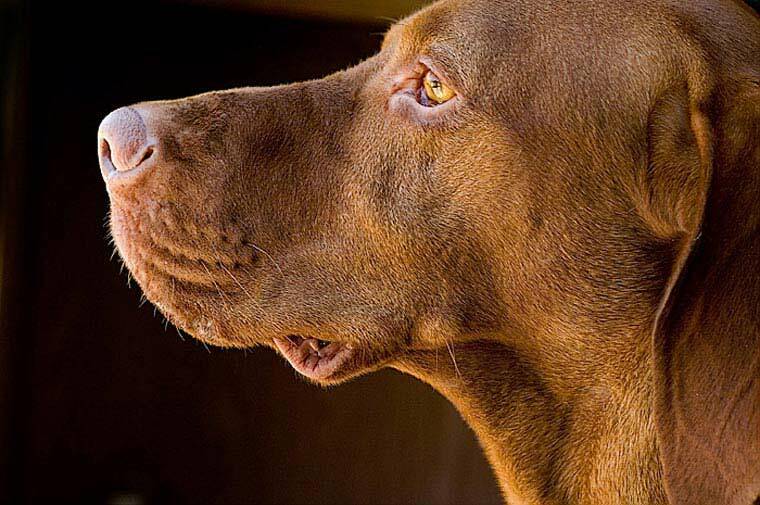 We can photograph your dog or cat indoors, or outside in my fenced garden. With a collar or without? Is your pet frightened by a "flashing light?" (You may want to try this at home). Is your dog best behaved in the morning or afternoon? (optimal time for our portrait session). Would YOU like to be included in the photo as well? Would you like your pet on a table or on the ground? Perhaps you have a helper that might like to join in to help in the session. 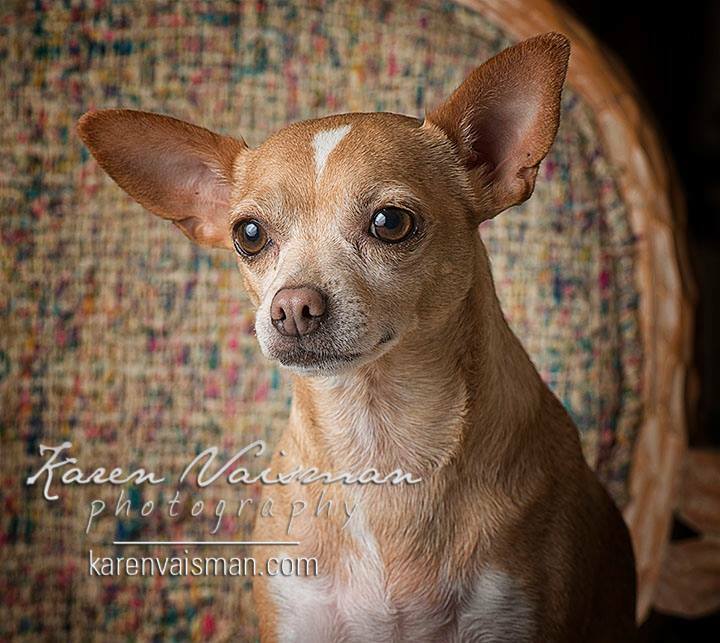 Do you have multiple pets you would like to photograph together? I am also able to make a composite two animals together, in case they may not enjoy sitting side by side (i.e. a cat and a dog)! Would you like a posed session in the studio? Would you prefer a more natural portrait session (running outdoors)? Photographing your pet at your home or another location is available as well (location fee applies). Pamper Your Pet. Preparation is Key! 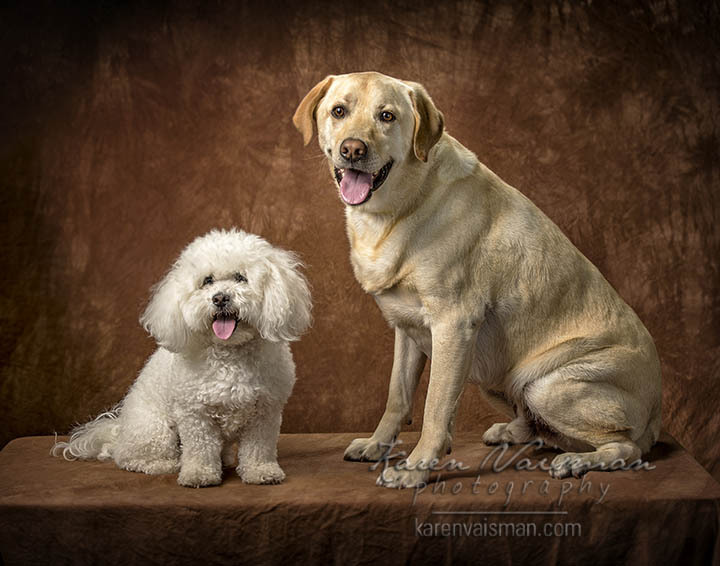 Grooming your pet prior to our session will help him sparkle right before his the pet portrait session! Bring his brush to be prepared. Please bring his favorite treats to help coax him into some great poses for his session. Think about if you would like him with, or without a collar as well. I can always retouch out the collar after our portrait session. Does he have a favorite squeaky toy he will look at or a bag of treats that will make him look when I shake it? It is always a good idea to walk your dog, just before the session and to bring water and food, just in case. All of the products I carry are the finest archival quality available. Archival products are guaranteed for longevity and will not fade when cared for properly. Special memories of your pet deserve the ultimate quality product. "The Art of Touch Up"
I am a master photographer and retouch artist with over two decades of experience. 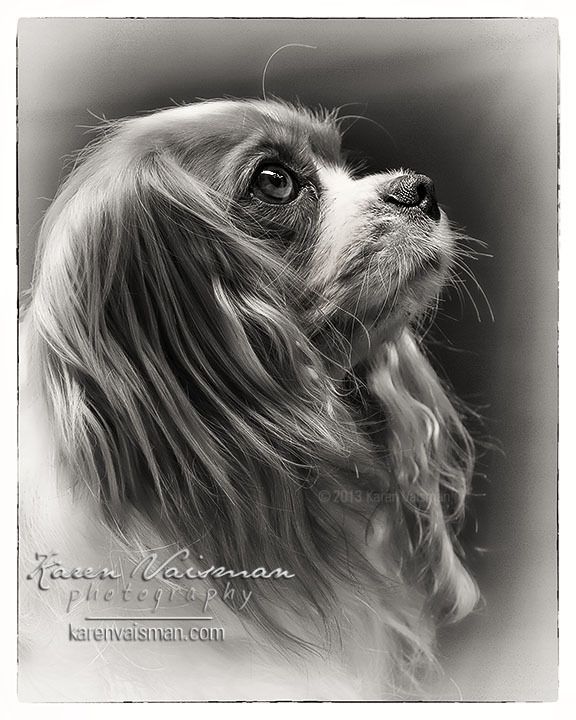 My love for animals combined with my passion for art leaves a very soft spot in my heart for pet portraits. I love working with animals. 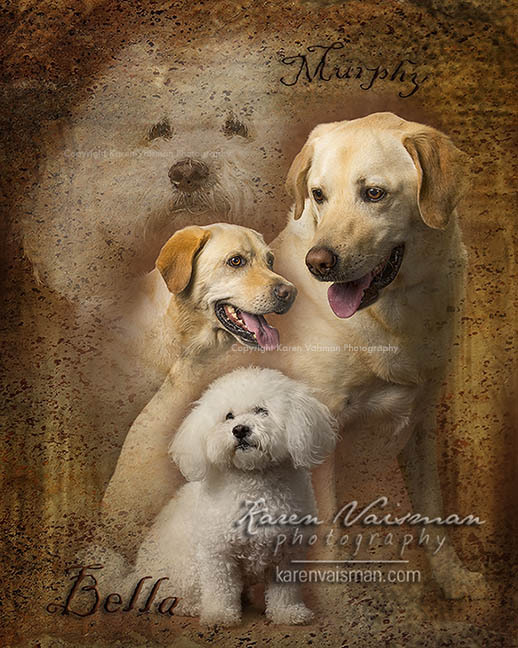 After our session, I will artistically retouch your pet's portrait. Do you have a black dog, with black eyes that you have never quite been able to see in a photograph very well? I will digitally enhance your pet's fur so you will see the detail in his/her eyes...just enough to make you say "Awwwww." 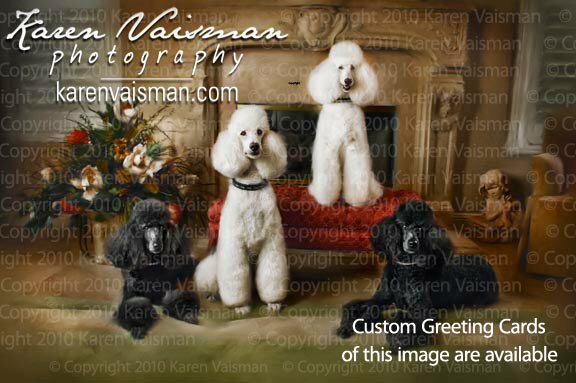 Does your white poodle always seem to have a "dirty mustache look," or perhaps leaky eyes that stain his fur? Not to worry, I can clean all of that up with Photoshop! I have a Bachelor of Fine Arts in Photography. I'm known throughout the Los Angeles area for the fine art of retouching. Please visit my before and after gallery to see samples of my retouching work. All the images in the gallery above have been fully retouched. Experience and "that Pet Connection" Counts. Your Dog Will just "Know." 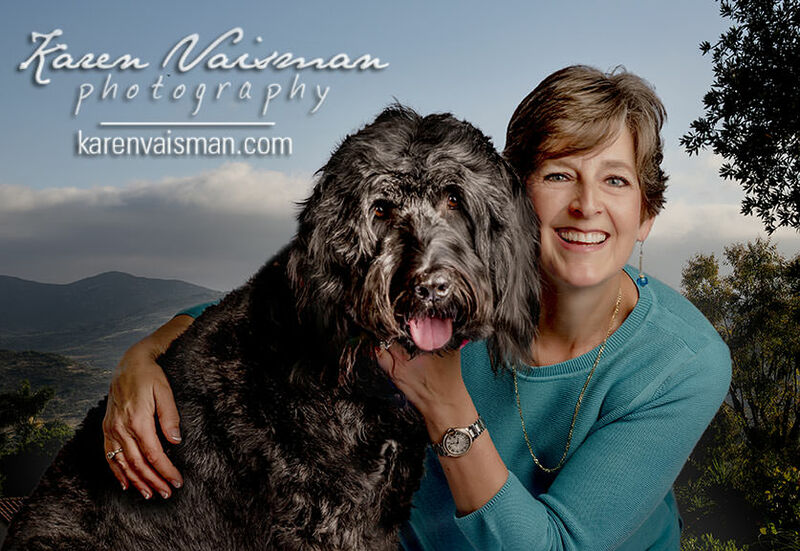 I have worked in the Thousand Oaks area as a Pet Photographer for many years, combining my experience with animals (I have had multiple cats and dogs in my family) and experience behind the camera. I am confident you will love the results! I'm proud to share over 100+ 5-Star Reviews from my clients - click HERE. 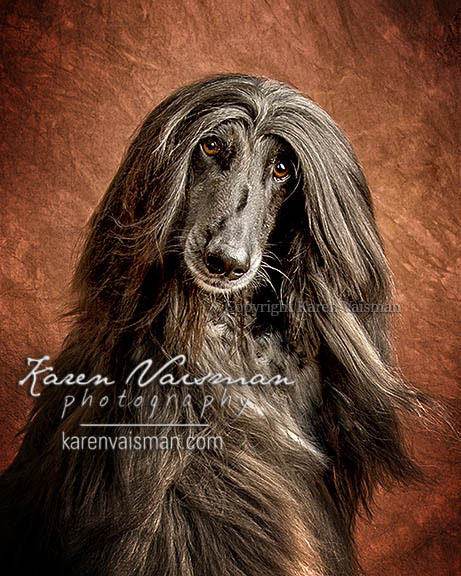 Karen's work has been featured on "Grief Pray Love - Pet Blog." Claire Chew, a Life Transitions Coach helps transform hardship and loss of your pet. Karen has created beautiful artwork to help families in this regard. 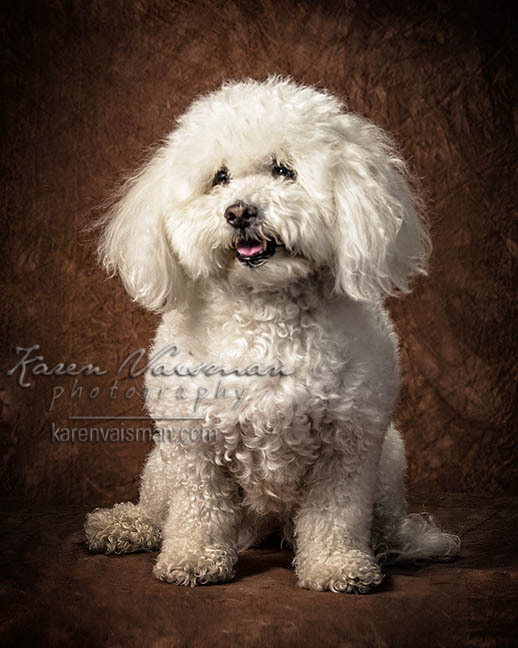 I'm happy to meet with you for your pet-portrait design session prior to our photography session to show you samples and to discuss your particular needs and creative ideas. I can't wait to meet you and your special pet! Recommended places to take your dog!